All roads lead to Rome: the cooperation between the Israeli Air Force and its Italian counterpart continues to grow. Over the years, the Israeli Air Force and the Italian Air Force have reached several deals in the field of force build-up – the most significant one is the purchase of the Italian aircraft, the "Lavi", by Israel. Following the purchase, the cooperation grew stronger: the two forces began sharing knowledge regarding the aircraft and developed new capabilities visible in various technological systems. Alongside the exchange of information, the forces hold mutual exercises. The Italians participated in the "Blue-Flag" 2017 international exercise held in Uvda AFB last year, and even approved their participation in "Blue-Flag" 2019. In addition, Italian representatives will participate in the "Sky Angels" international SAR (Search-and-rescue) exercise due to commence next week, as well as hold an "Eitam" (Gulfstream G550) crew exchange with Israeli aircrew members. 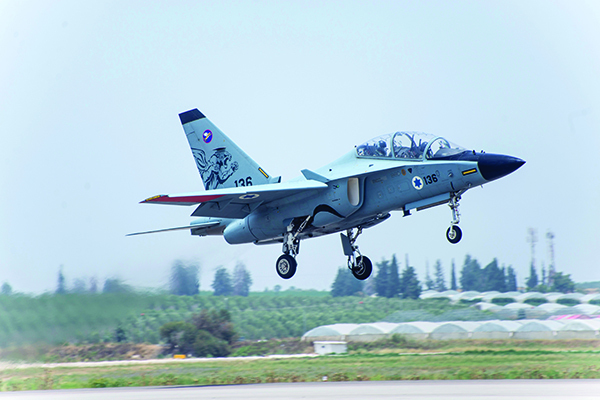 The Israeli Flight Test Center is in close cooperation with its Italian counterpart, and an Israeli delegation headed by the IAF Head of Materiel Directorate is due to fly to Italy in December. The Israeli Air Force has deployed to Sardinia numerous times and held widescale exercises with the Italian Air Force. In addition, the two air forces regularly hold overseas crew exchanges as part of which the service members attend various courses. Italian RPAV (Remotely Piloted Aerial Vehicle) operators arrive at courses in the Israeli RPAV Academy situated in Palmahim AFB, while Israeli "Shimshon" (Super Hercules C-130J) pilots undergo conversions in Italian territory". "The cooperation continues to grow"
"The Italians appreciate the Israeli Air Force and the two forces are close, sharing several fields of interest", elaborated Maj. A', Head of the IAF's Europe & Asia International Affairs Branch. "The Italian Air Force Commander is a true friend of Israel, and has visited here every year during his tenure". 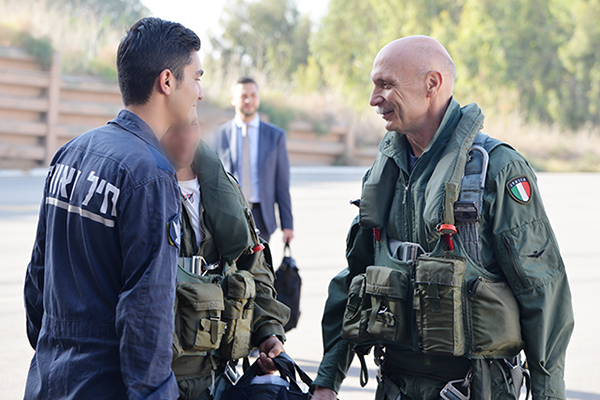 "Our cooperation with the Italian Air Force is at an excellent point, and it continues to grow", emphasized Col. Harel Tagar, the IDF military attaché in Italy. "The visit is a direct derivative of the two commanders' excellent relationship. 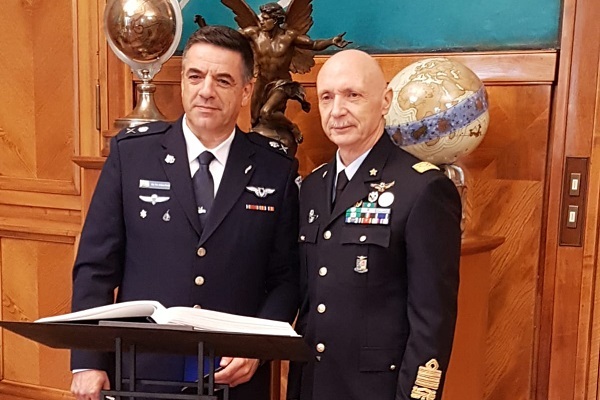 The visit arose when the Italian Air Force Commander participated in the international Air Force Commander Convention held in Israel last May, and the Italian commander invited Israeli Air Force Commander Maj. Gen. Amikam Norkin for an official visit to Italy". On Wednesday, Maj. Gen. Norkin returned from a short visit to Italy. The visit occurred one day before the appointment of the Italian Air Force commander, General Enzo Vecciarelli, as General Chief of Defence Staff in the Italian Army. As part of his visit, Maj. Gen. Norkin visited Cameri AFB, toured the F-35 assembly center - the only one of its kind located outside of the United States - and met with senior members of the Italian Ministry of Defence. The Israeli Air Force Commander also participated in a panel consisting of senior members from the Italian Air Force, received a tour of the Italian presidential palace hosted by the Italian president’s Military Consultant and visited Amendola AFB, which is home to the Italian Air Force’s first F-35 squadron. 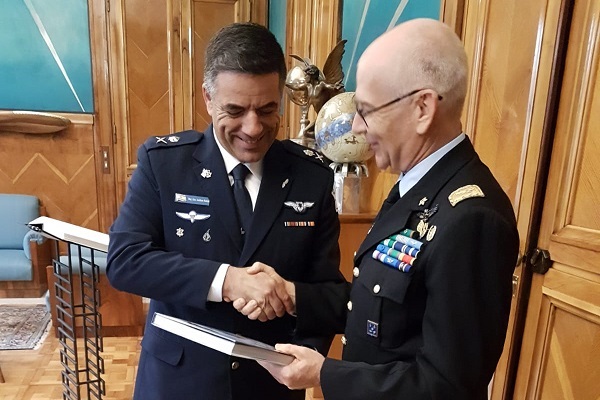 “The visit began a day after the Italian Air Force Commander’s appointment as General Chief of Defence Staff in the Italian Army, and next week he will begin his tenure”, stated Col. Harel. 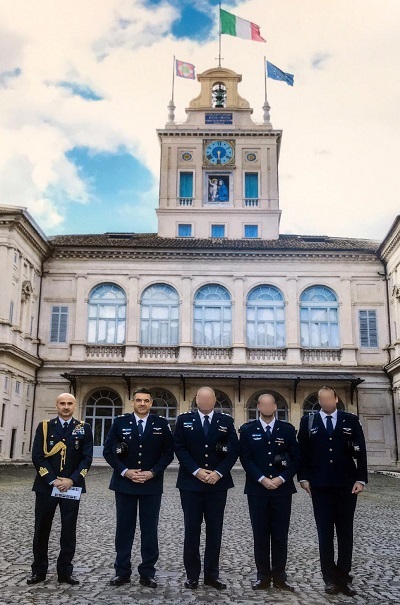 “The entire visit was accompanied by the Head of the Italian Air Force HQ and attended by the future commander of the Italian Air Force, General Alberto Rosso. Maj. Gen. Norkin participated in a strategic panel led by the Italian Air Force commander, which dealt with topics including cooperation, security challenges mutual to both countries and the establishment of both forces’ strength. Other topics included the countries’ capability to cooperate and contribute to one another, in fields such as the F-35 aircraft, advanced exercises, the field of simulators and the ‘Lavi’ (M-346) aircraft”.